Getting into the side topic, i don't really collect comics anymore mostly due to the price, just felt like i wasn't quite getting enough bang for my buck anymore and i was happy enough borrowing trades of newer runs from the library. Not all the artwork is appealing to me but there are plenty of current artists whose work i find amazing, and i've gotten used to the decompressed approach many writers use nowadays. If you're okay with reading digital, Marvel Unlimited could be useful for you. It's like Netflix, but for Marvel comics. You pay 10 bucks a month for instant access to over 25,000 comics. They constantly add new batches of old remastered comics and new comics are added 6 months after release. I have actually considered that in the past (especially since some of the subscription levels will throw in an ML figure) but found it hard to get into reading comics digitally - i have a few of those DVD-ROMs from the early 2000s that had entire comic runs scanned in (in my case, FF, Avengers, and Hulk) but at the time still preferred reading printed versions. Now it seems like i'm heading towards needing glasses to read comics (or to read, generally) so it might be a good time to revisit reading digitally since i imagine its easy enough to enlarge panels etc so i'm not squinting to make out a caption or whatever. Thanks for the reminder about Unlimited!! The blue and yellow Banshee? I feel like the green one would be truer to the vintage wave aesthetic. I think you are right. I’m getting him confused with the first Hasbro Legends Banshee. Haha I also forgot about the whistle gimmick. Man I loved that 90s line. 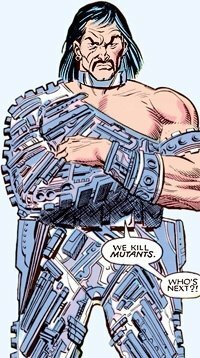 All of this talk about the vintage waves and then the recent findings of the Caliban wave has me feeling super impatient. It is going to be a long year waiting for all of these awesome figures! I'd love to see this one made though at some point. He holds so many fond memories for m as a kid. 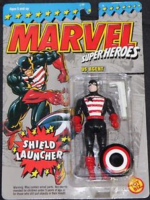 They could rerelease the 2012 US Agent the same way they rereleased the Neo Classic Iron Man for the Vintage Line. Or retool one of the current Caps. I would much prefer a retool. I have the 2012 one and he feels small. Ultimately as long as they blacked out the star on the shield I would buy it anyway just to keep on the card and hang on my wall. Did you see the packaging that Professor X came in? They had a whole Animated Series looking diorama in there and the white Storm was front and center. If we don't see her this year it would be a real shame. For the 45th ANNIVERSARY of GS X-men I want a box set with Storm, Thunderbird, Banshee, Marvel Girl and Iceman. Now maybe Amazon would pick it up? I would say it could be an SDCC exclusive, but that would be four completely new highly sought after figures that Hasbro could make more off of as wider releases. 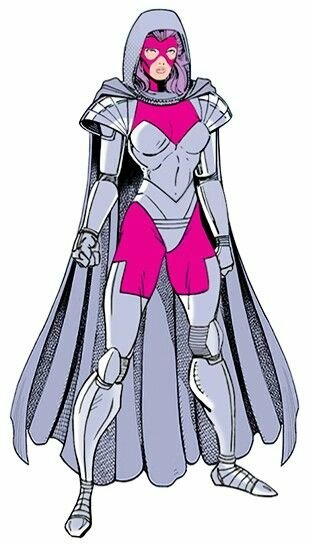 All of the above appeared in the original Toy Biz line except Psylocke, and it's a retro costume for her (a'la Dazzler in the actual upcoming vintage X-Men wave). I would buy the crap out of this wave. 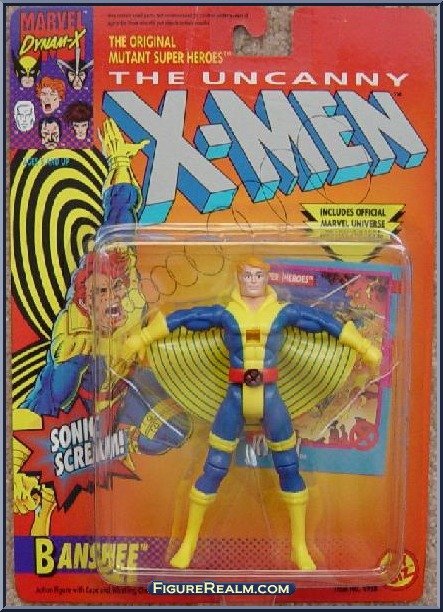 Today I learned that the robot Wolverine figure I had as a kid was actually a unique character that had a terrible name. On the topic of re-dos, Spiral is long over due too. 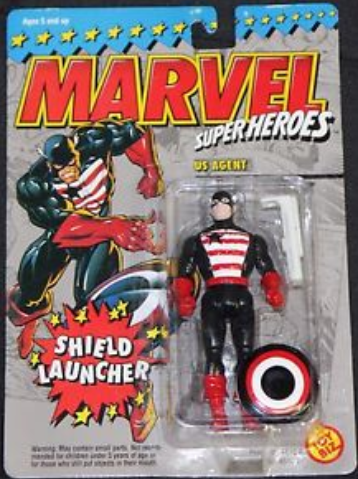 We know that Hasbro can do six-armed figures now, so it should only be a matter time I guess. I think I read the books with Albert around the same time I had the toy, but I forget whether the toy got me to read them or the other way around. I just remember thinking that figure was way too tall to be Wolverine. Krakoa can be the box! Lol! I'd like to see some Maruaders thrown in the mix. I think Harpoon, Greycrow and Archlight are cool!! Plus Riptide was in the First Class movie! !